"Put guns on the table, also put video games on the table, put mental health on the table," he said less than a week after the Newtown shootings. He told a local TV station that he wanted to see more research done to understand mass shootings. "Let's let the data lead rather than our political opinions." For nearly 20 years, Congress has pushed the Centers for Disease Control and Prevention (CDC) to steer clear of firearms violence research. As chairman of the appropriations subcommittee that traditionally sets CDC funding, Kingston has been in a position to change that. Soon after Sandy Hook, Kingston said he had spoken to the head of the agency. "I think we can find some common ground," Kingston said. In a statement to ProPublica, Kingston said he would oppose a proposal from President Obama for $10 million in CDC gun research funding. "The President's request to fund propaganda for his gun-grabbing initiatives through the CDC will not be included in the FY2015 appropriations bill," Kingston said. Rep. Steve Womack (R-AR), the vice chairman of the subcommittee, also "supports the long-standing prohibition of gun control advocacy or promotion funding," his spokeswoman said. CDC's current funding for gun violence prevention research remains at $0. After the Sandy Hook shootings, Obama issued a presidential memorandum "directing the Centers for Disease Control to research the causes and prevention of gun violence." Following Obama's instructions, the authoritative Institute of Medicine put together a report on priorities for research on reducing gun violence. Among the questions that need answers, according to the report: Do background checks — the most popular and prominent gun control policy proposal — actually reduce gun violence? How often do Americans successfully use guns to protect themselves each year? And — a question that Kingston himself had raised repeatedly — what is the relationship between violence in video games and other media and "real-life" violence? Dr. Mark Rosenberg, who led the CDC's gun violence research in the 1990s, said that the National Rifle Association and other opponents of funding have often fueled a misconception: that Americans can be for guns or for gun research, but not both. 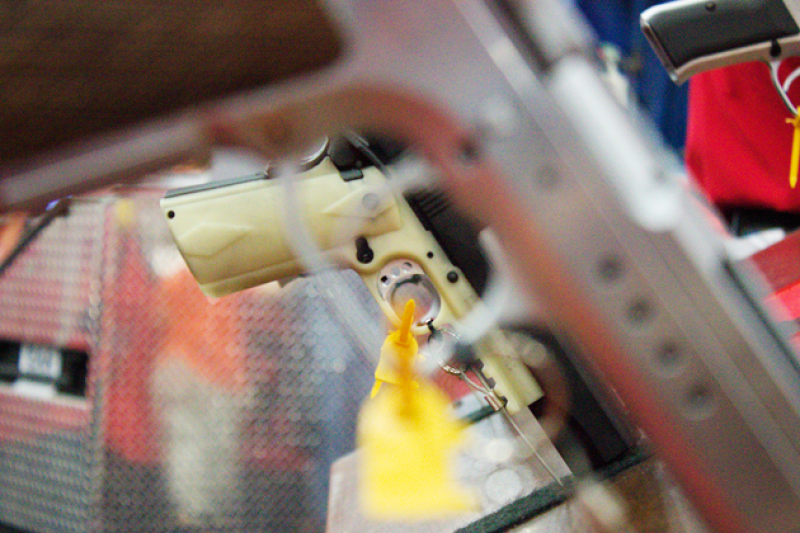 "The researchers at CDC are committed to two goals: one goal is preventing firearm injuries. The second goal is to preserve the rights of legitimate gun owners. They have been totally misportrayed," Rosenberg said. "If all we wanted to do was protect the rights of legitimate gun owners, we wouldn't pass any legislation, and if we just wanted to reduce firearm injuries and death, we might say, 'Take all guns out of civilian hands,'" Rosenberg said. "The trick is, we want to do both at the same time, and that requires research." The NRA did not respond to a request for comment. Last year, the NRA's director of public affairs, Andrew Arulanandam, told CNN that more government gun research is not needed. 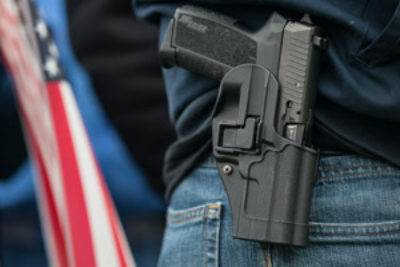 "What works to reduce gun violence is to make sure that criminals are prosecuted and those who have been found to be a danger to themselves or others don't have access to firearms," Arulanandam said. "Not to carry out more studies." The CDC is not the only source of federally funded research on gun violence. In response to Obama's push for more research, the National Institutes of Health (NIH), which invests $30 billion in medical research each year, put out a call for new research projects on gun violence prevention last fall. While the first submission deadline has passed, it's not yet clear how many projects will be funded, or how much money NIH will devote to the effort. An NIH spokeswoman said there is no set funding amount. Congress also approved Obama's request for additional CDC funding last year to broaden the reach of the National Violent Death Reporting System (NVDRS), a detailed database of the circumstances surrounding all kinds of violent deaths, including gun deaths. Obama has asked for $23 million this year, to expand the data collection to all 50 states and Washington, D.C.
A CDC spokeswoman said that while the agency "does not receive any dedicated funding for firearm related injury prevention research," Congress does fund "research on a variety of related topics, including youth violence, child maltreatment, domestic violence, and sexual violence." "We remain committed to treating gun violence as the public health issue it is, which is why we need the best researchers in this country working on this topic," a White House spokesperson said in a statement. Sen. Tom Harkin (D-IA), chair of the Senate appropriations subcommittee that oversees CDC funding, successfully pushed for more NVDRS funding last year. He told ProPublica in a statement that investing in gun violence research is a "critical need," but that it has to be balanced "with many competing priorities."